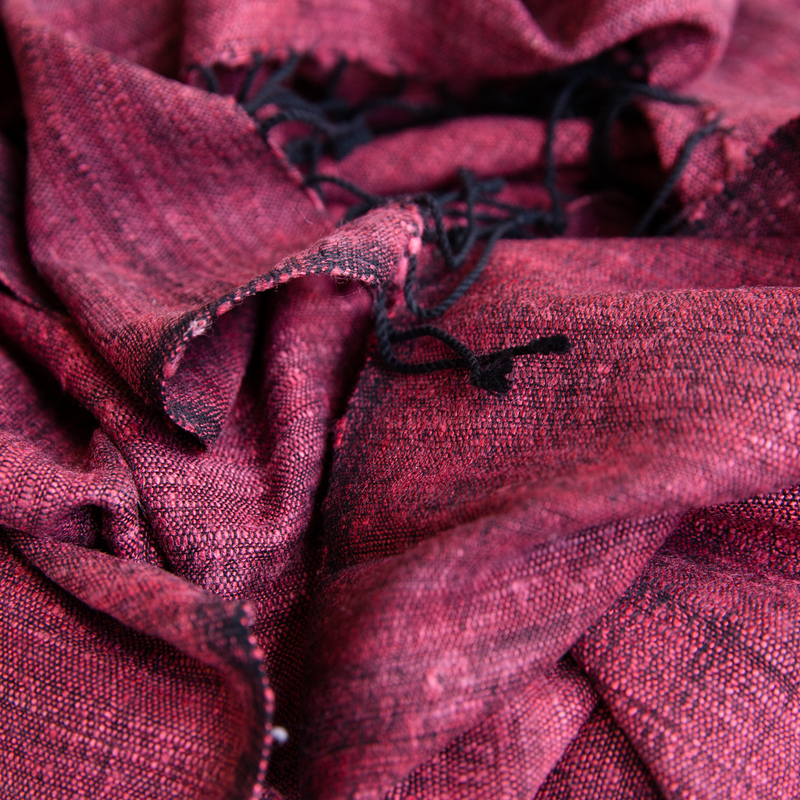 Gracious silk and cotton mixed shawl from Ethiopia. Lovely warm naturally dyed shawl from Addis Abeba. 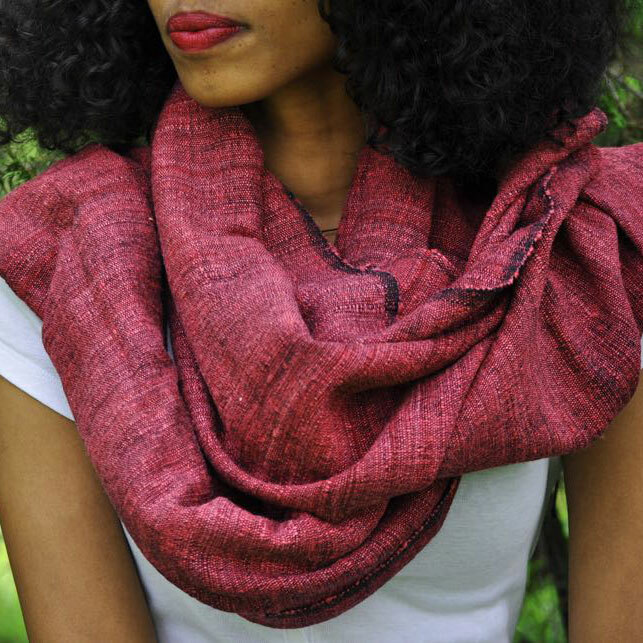 Handwoven from 65% Ethiopian Eri silk and 35% cotton. One hundred percent handwork from artisans working with Sabahar, a local Fairtrade organisation.